Problem: In the summer of 2010 I found that my bookshelves were getting to the point of needing proper bookends to keep everything in order. 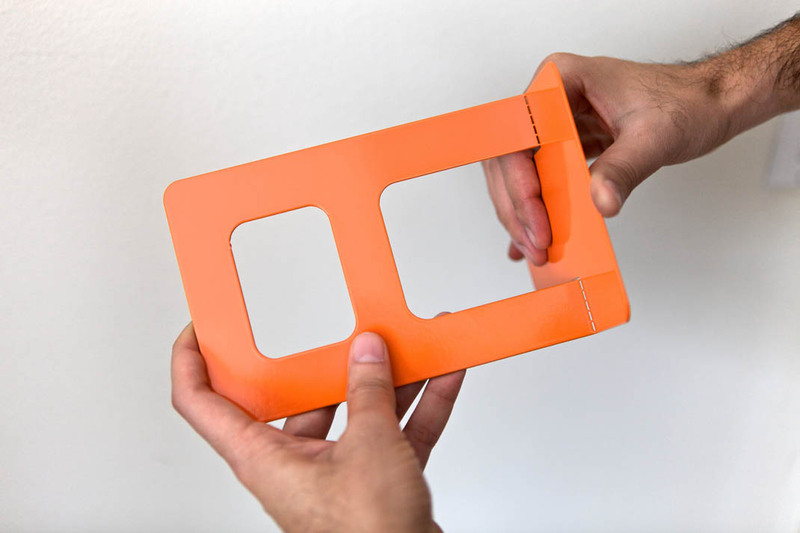 Naturally being typographically inclined, I began searching around for type-centric bookends. However, after much searching I was unable to find anything that caught my eye – lots of woodblock letters or “A & Z” bookend sets, but nothing worth breaking out the credit card for. Solution: I’m a designer. I design things. Why not design myself some bookends? 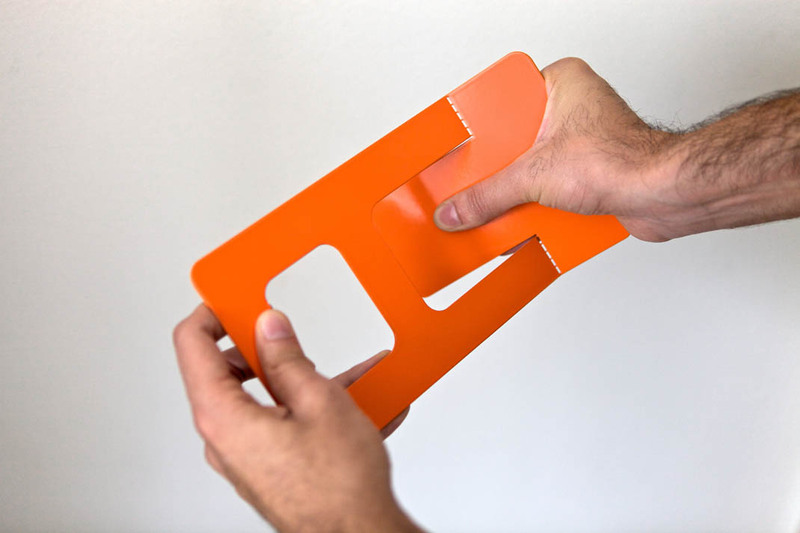 Method: I’ve always had this lingering memory from when I was a kid of the big, orange bookends in my dad’s office. I was especially fixated on the way that the shape of the base seemed to have been punched neatly from the body, leaving a radiused rectangle in the upright plane of the bookend. 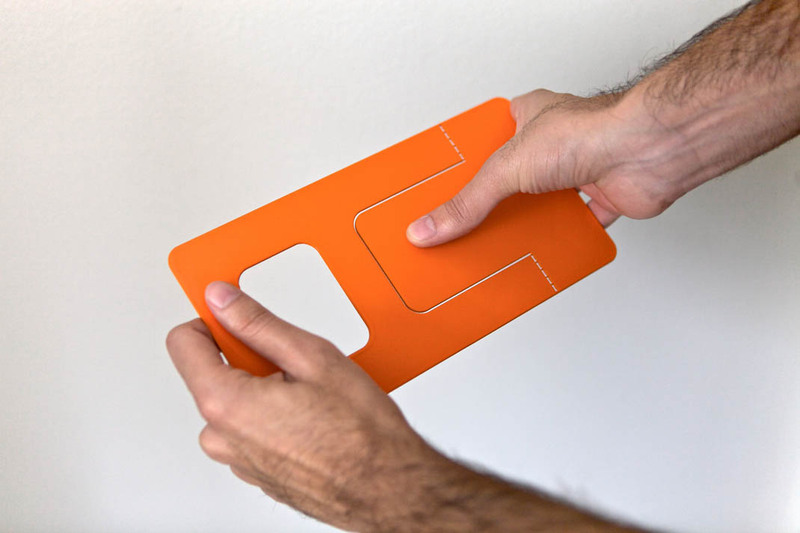 This very concept seemed extremely economical; each unit could be cut from a single sheet of metal, then the base would be formed from the counter space. Leaning on knowledge from my house numbers project – Dash – I knew the type of perforations needed to properly bend stainless steel while keeping it structurally sound. Process: Using some off-the-shelf black bookends as a reference, I began figuring out how each letter would begin to look if used in the given framework. Letterforms with open counters – such as A, H, K, et al – lent themselves easily to this system; however, characters with closed bottoms – such as B, C, D, E, et al – proved to be trickier to manage. After several different directions – including a foray into making the entire set proportional as opposed to monospaced (a development which did not last long) – I came to the conclusion that the best solution would be to simply have the foundation of these forms contain both sides of the base, which would swing out in opposite directions; not unlike a gymnast doing forward splits. Using this dual-system of base formation, the letterforms could remain the same width, and the weight-bearing ability of the bookend would not be compromised. 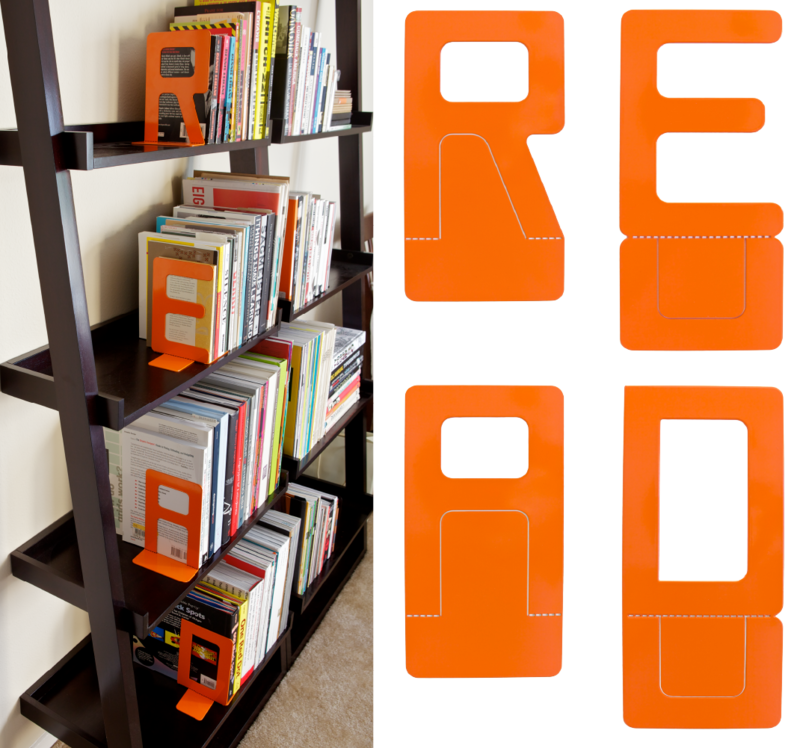 A test batch of letters (spelling out “READ”) were then cut from 16 gauge stainless steel and powder-coated in classic library orange – just like dad used to have. I’m happy to report that my books have ceased falling over unexpectedly. Biblio has been featured in Playing with Type, curated & written by Lara McCormick.